We Got A Park For You! Being a Downtown Lowell resident, I walk past, through, and IN the Lowell National Historical Park every day because it encompasses pretty much all of downtown, the surrounding canals, North and South Common, and the Lowell Heritage State Park along the Merrimack off of Pawtucket Blvd. You could easily tour this park all day, or even spend an entire weekend doing so. It's not just about the foot paths either. They offer canal tours by boat! I have the good fortune of living on the bottom floor of a mill building and seeing the canal tours go by. All. The. Time. They always look like they're having a good time. This is truly a great place to start when you’re looking to get the overview of Lowell’s past. The people at the welcome center are so nice! The first time I went in, they were about to close up. The man behind the front desk let me browse, and even invited me to watch their introductory video in their media room even though it was well past 5PM. It’s a must-see. Not to mention the feeling you get when you look up at the expansive brick walls, exposed beams…it really makes you feel like you’re stepping into a bit of history. Not exactly a park, but it deserves attention. Mill City Grows is a non-profit organization here in Lowell that promotes sustainable, organic farming within the city. They have four community gardens nestled around Lowell for all to enjoy and participate in in various ways. North Commons is the home of 36 garden plots where community members and local organizations can actually grow their own gardens. They also have grow sites at the Rotary Club Park, Smith St., West Third St., and are always expanding and seeking new growing opportunities. Their website encourages those that want to see a grow site near them to reach out. Mill City Grows is not just about community gardening. One of their gardens is located behind Mill No. 5, and grows up from what was once a building’s foundation. This urban “pop up” farm provides produce that they sell at community events all around the city throughout the year! I can attest to their quality as I have purchased carrots from some of their events to make one of the most delicious carrot soups! I also frequent Fuse, a great restaurant in the Canalway Cultural District, where they often feature Mill City Grows produce. To die for! I would strongly encourage you to check them out on MillCityGrows.org, and be sure to get a tour of the garden, and make it out to their next event! I have visited this park on so many occasions. It's a perfect spot to take a posed picture with a backdrop of rhododendrons in spring, and to have a quiet conversation about life with an old friend. It started as part of a larger promenade with grass and trees that was commonly paired with Mill yards of its time. These “malls” were a place where the mill girls could walk and take in a bit of greenery, which was a sharp contrast to the backdrop of brick, wooden beams, and metal that surrounded them during their 60 or so hour work week. 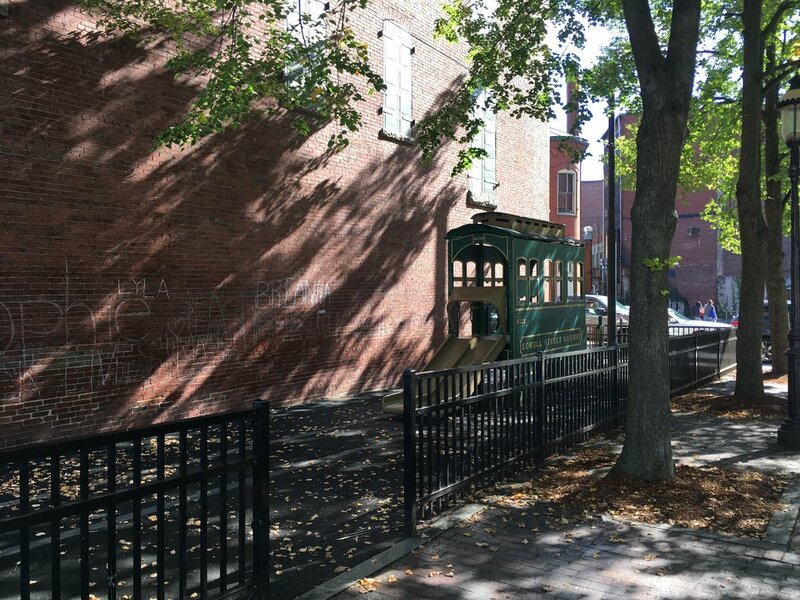 Even though this contrast was once considered important for the worker’s well-being, this small garden is all that remains after the rapid growth in Lowell in the late 1800s. After being dedicated to Mary Bacigalupo in 2005, it’s received a well-deserved, Victorian-style face lift. It’s a great spot to sit with a coffee and read on your tablet. Lots of trees block the sun, so if you love paper-backs, there is a bench for you right on the outside of the garden. Otherwise, I would stick to an eBook! Named after the boarding house where the mill girls once lived, this is where locals go to see ALL OF THE CONCERTS!! In fact, people from all around catch great shows here. This place is amazing, especially in the summer months. I have to admit that I have never been to see a show there, but I have stood on the sidewalk right across the street with my dog and listened to Pat Benetar, the B-52s, and so many others. Going into Boston, however fun, can be quite a schlep. Boarding House Park offers people that reside within a 2 hour radius the Boston alternative to concert-going. If you are thinking about seeing a show here, DO IT! The parking is pretty easily accessible, and the Lowell nightlife in the Canalway Cultural District can be fun for and after the show. If you’re like me and can’t seem to get it together to learn about these events early enough to get a ticket, be sure to check out the park on any given day for a picnic. There is a ton of space to spread out, bring the kids, and play with your dog. Jack Kerouac, an iconic novelist and poet, began his life and career right here in Lowell, MA. Kerouac Park was dedicated in 1988 to celebrate his life and work, which often touched back upon his Lowell roots and upbringing. Standing among the granite pillars with excerpts of his writings, all you need to do is turn around and see Lowell’s history. This is a great place to stop if you’re heading to Boarding House Park, or for a walk along the Merrimack. The Hamilton Canal is right behind you, Arthur’s Paradise Diner is across the street, and the Boot Mills are just steps away. This spot is a calm retreat from the arduous day of walking from one historical backdrop to another. 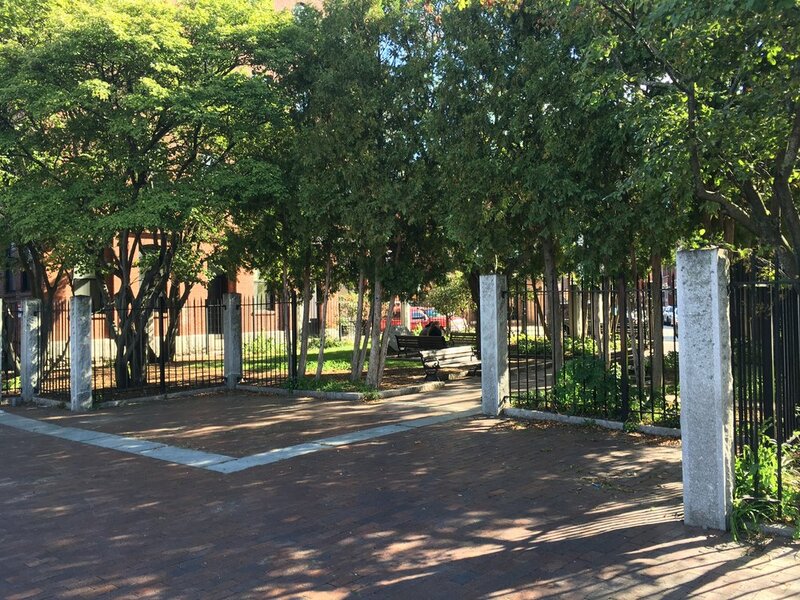 This park’s history goes way back past the raising of the textile mills! It got its name when the local Pawtucket Indian Tribe’s Chief, Wannalancit, created a fort there. Zadock Rogers then purchased the 300 acre parcel in 1805 to create the Fort Hill Zoo, only to leave it to his daughters who later sold most of it for both development and to the city to form Rogers Fort Hill Park. Over the years, there has been both highs and lows for this park. It followed the city’s path of prosperity and decline. In the past 20 years, reinvestment has brought about improvements, better security, and more visitors putting it back on the map. 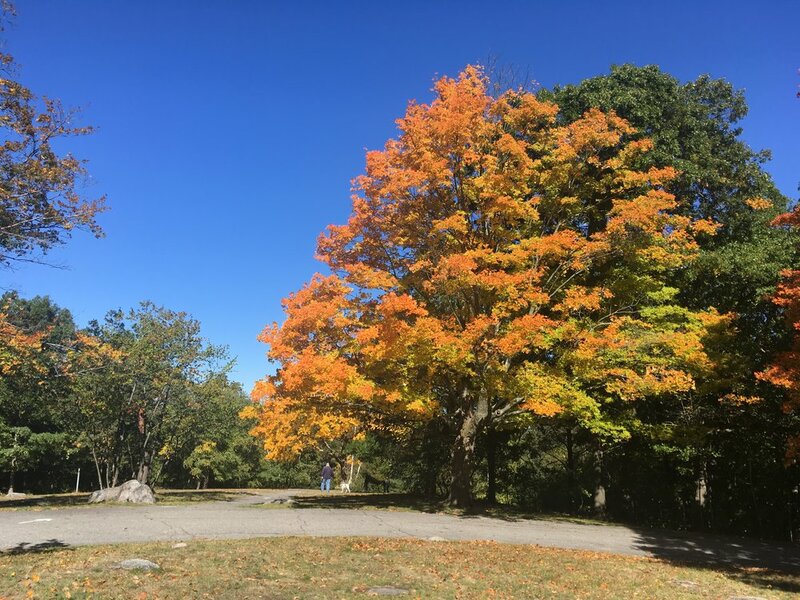 Rogers Fort Hill Park has been the scenic backdrop for engagement and family pictures, music videos, and even a movie about the creator of Wonder Woman, William Moulton Marston, according to the Fort Hill Park Facebook page. With 11 acres of fields and 23 acres of forest, there is all the room anyone could want to spend a day. Running, mount biking, and even just taking pictures of the sunset are all feature past times at this great spot. This may sound creepy, but coming into Halloween and all, I hope you hear me out. This place is beautiful, holds events for the public throughout the year, and celebrates a piece of history unlike that which you can find in any of the mills. In 1998, this cemetery was entered into the National Register of Historic Places. These picturesque grounds are a respite for those looking to connect with this history of influential Lowell leaders, or simply seeking a quiet backdrop to take in some nature. Definitely an easy walking trail for you walking enthusiasts. A must-see this fall. 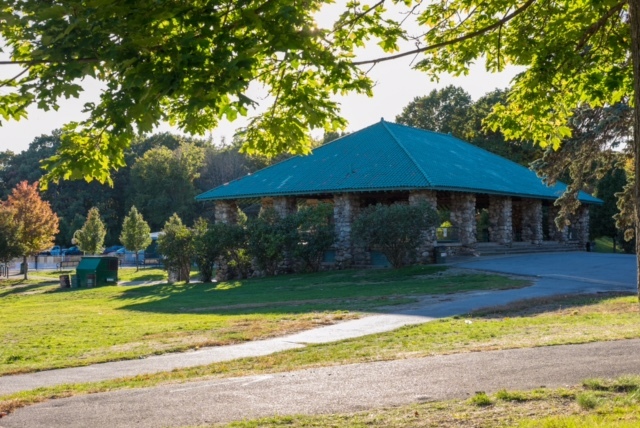 Granted by prominent Lowell leader, Freeman Ballard Shedd and right next to the Lowell Memorial Cemetery and Fort Hill Park, Shedd Park is the largest green space in Greater Lowell. A great spot for the entire family, Shedd Park has play grounds, water park-style play areas, covered areas for social gathers, a baseball and softball diamonds, and all the space you need to do anything you want! It’s an easy spot to park and spend a few hours. This has been one of my favorite spots since I was in High School. Lowell Heritage State Park has everything anyone needs for a good time outside. 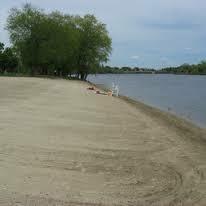 There is a long scenic walking/running trail right along the Merrimack River. Like Boarding House Park, there is a stage where you can catch a show in the summer months. If you have a boat, you can drop it! If you want to swim, well, you can do that too! If you’re more of a ‘watch and see’ type person, go across the street to Heritage Ice Cream and sit on one of the many benches and listen to the water and watch a sunset. Friendship Field is also right across the way, so if there’s a festival going on, you are at the right place. When I was a kid, my friends and I would walk along the river while there was a show going on and talk about going to UMASS Lowell, which is the backdrop of the boathouse. A nostalgic stop for me, and I’d bet for plenty of other people.